Rock legends AC/DC descended upon Hammermith Apollo this May 6th to show the world the Premiere of their new live DVD – AC/DC Live at River Plate. AC/DC Live At River Plate is out now on DVD, Blu-Ray and Ltd Edition collector’s edition with exclusive t-shirt. Additionally the DVD contains a bonus feature titled “The Fan, The Roadie, The Guitar Tech & The Meat,” and features interviews with AC/DC, their crew and fans among the excitement of the shows and the city of Buenos Aires. 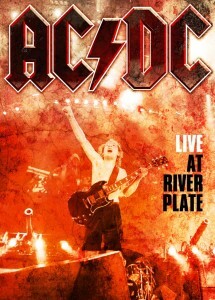 AC/DC Live At River Plate is available for pre-order at http://www.ACDC.com and Amazon.